New model coming six months after Escape debut. The new 2020 Ford Escape will be getting a new off-road variant cousin. The unnamed ute will show up in about six months. In what is billed by CEO Jim Hackett as a year of big changes for the automaker, Ford Motor Co. has unveiled both the 2020 Escape and the 2020 Explorer both of which are due for showrooms later this year. But behind the upcoming show room appearances of the Escape and the Explorer, another introduction is making its way to the launch pad. Hau Thai-Tang, Ford executive vice president of product development and purchasing, said during an interview on the sidelines of the Escape preview last month in Dearborn, Michigan, Ford is also working on an off-road version of its popular sport-utility vehicle. The new SUV doesn’t even have a name yet, Thai-Tang said, but it will be distinct from the Escape. The as yet unnamed ute will have a somewhat taller ride height, a boxier appearance, more ground clearance, a different track or width and a more upright windshield, he added. Though the next-gen Escape will be able to tackle some off-road adventures, but it's designed for more urban escapades. “We want to have really differentiated styling (with the new model so the Escape’s) silhouette is very sleek, dynamic – more progressive. The off-road utility will be more upright, boxy,” added Thai-Tang, who said the new vehicle will join the Ford line-up about six months after the Escape, which is scheduled to go into production toward the end of the summer in time for an autumn introduction. Ford has described the styling of the next-generation Escape as more “urban,” which Thai-Tang said leaves room for a variant that will appeal to buyers looking for more rugged vehicle built for off-road adventure. Thai-Tang also noted the new off-road utility, despite its differentiation, will share a platform with the Escape and the new version of the Ford Focus in global markets such as China. The Escape itself will be built in plants in the U.S. Compared to the current model, the all-new Escape stands lower, wider and longer, noted Thai-Tang. With a sloped roofline, optimized liftgate spoiler and strake, and efficient underbody, the all-new Escape is the most aerodynamic to date. Meanwhile, it sheds more than 200 pounds from the current model, due in part to the extensive use of high-strength, lightweight steel. 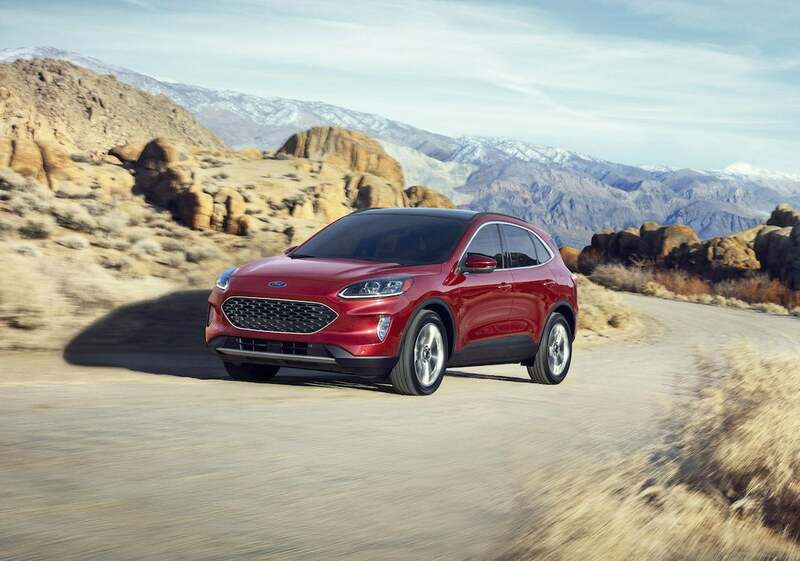 Ford rolled out the world’s first hybrid SUV in 2005, Ford is preparing to offer standard Escape hybrid and a plug-in variant, and introduces technologies ranging from drive modes and driver-assist features to electric vehicle ingenuity and on-board connectivity.